How to get to Power 305, and be raid ready, as soon as possible. 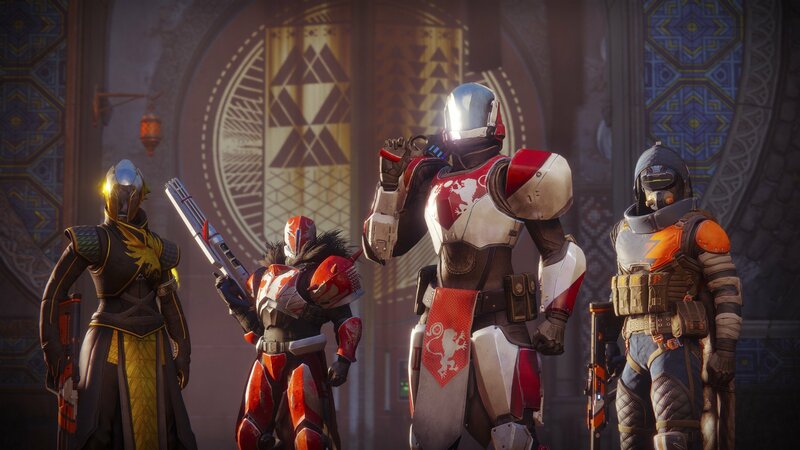 Destiny 2 is about to reach the PC market, which means a whole lot of new players are going to be looking to get “raid ready” as soon as possible. There might also be some new console players who are looking for the best way to catch up to their friends who are already well ahead of them. 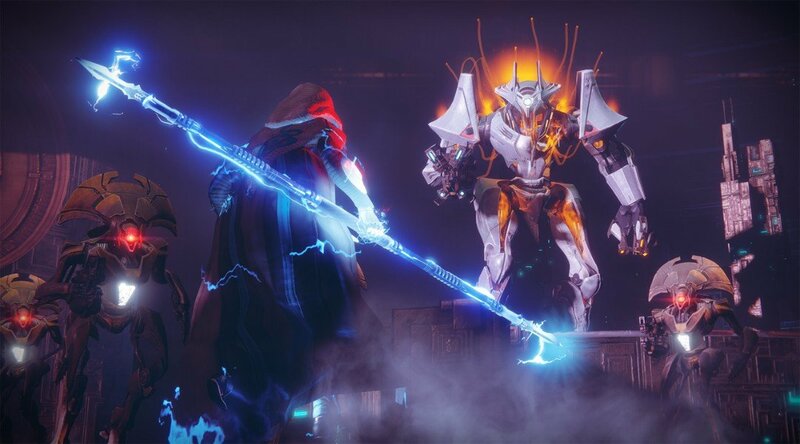 In Destiny 2, there are a lot of ways to reach the current maximum Power level of 305, but there are only a few ways to go about this efficiently. The following will detail – without going into spoilers – the fastest way to level up in Destiny 2. There are two “levels” that you can increase in Destiny 2. The first one you will focus on is your character’s standard level that starts at 1 and finishes at 20. This level allows you to equip more powerful gear and becomes obsolete once you finish the main campaign. Increasing your Level to 20 allows you to equip better armor and weapons, which will help increase your Power level! The second, and more important, level is called Power, and directly affects how much damage you deal and how much damage you can resist. Every weapon and piece of armor you equip has Power, and your Power level is the average of all of these items. The following are the activities you should focus on at each point throughout your Destiny 2 playtime. Holding off on certain activities until you’re a higher Power level will reap greater rewards. The general order you should complete activities is as follows, but more detail will be provided below. The campaign is fun, and full of story, but also necessary if you want to level up. Finishing the campaign will be your primary goal for the first 6 to 12 hours of Destiny 2. The amount of time it takes you to finish the campaign will depend on how much time you spend enjoying the story and soaking up the new content. However, once you complete the story, you will reach Level 20 and you should be around Power 190. Once you finish the campaign, the next hurdle will be reaching Power 265 by playing Public Events and finishing Lost Sectors. These two activities will always drop Blue Engrams, which will be your main source of increasing your Power. While Strikes are fun, Public Events offer better rewards for your time investment. You can find Lost Sector’s by opening your map and looking for the Lost Sector icon. Simply run into the Lost Sector, defeat the boss, loot its chest, and then leave. If it’s a particularly easy Lost Sector, you can run back in and do it again. Search for Public Events using the map and if you can, activate the Heroic Public Event version for better rewards. 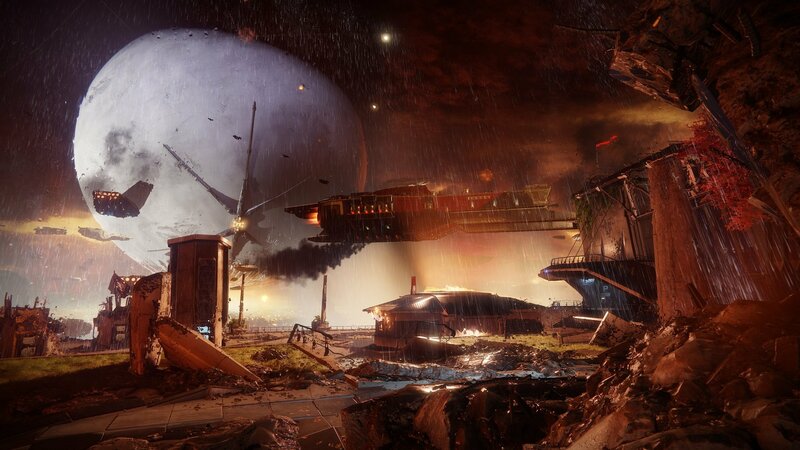 A good place to farm Public Events is Titan, as the planet only has two locations where they can spawn. Public Events are also a valuable source for farming Exotic Engrams. It will take a while, but reaching Power 265, and even Power 270, should be your goal, as the next steps offer better rewards the higher your Power level. Public Events are always important to increasing your Power, so if you find your rewards begin to plateau, consider jumping back in and doing some more Public Events. The most rewarding activities are the Milestones, as they reward Luminous Engrams, a powerful version of a Legendary Engram. These engrams will always reward you with an item higher than your current Power level. Milestones reset every week, giving you ample opportunity to increase your Power and level up fast in Destiny 2. 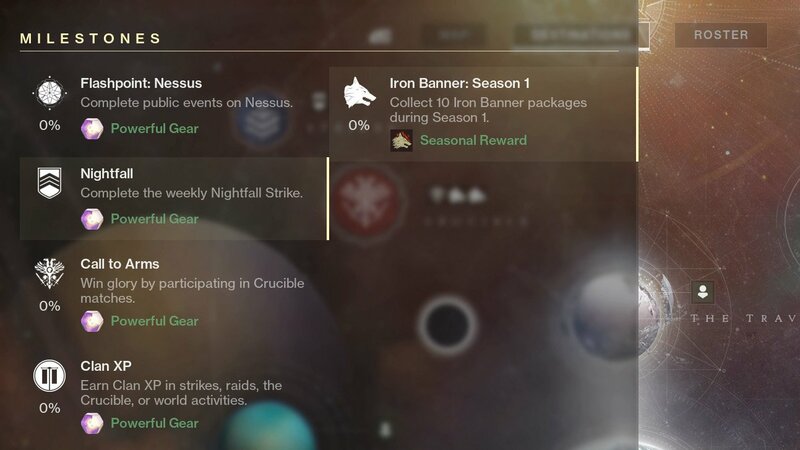 Whenever Iron Banner is active, it receives its own Milestone rewards. Flashpoint is a planet-based activity where you must complete a set amount of Public Events in order to be rewarded with a Luminous Engram. The Nightfall is a weekly Strike with a couple of different modifiers that comes with increased enemy health and damage. Call to Arms is a Crucible activity where you must participate in matches in order to receive your reward. Clan XP requires you to earn experience toward your Clan standing. And finally, the Leviathan raid Milestone tasks you with completing the entire raid. After each of these activities is completed, you can visit their respective vendor in order to receive your Luminous Engram. By the time you finish these, you should hopefully be approaching Power 280 or even reaching Power 285. At this point, you're "raid ready", but you can keep going in order to push your Power level higher. If you choose to jump into the raid at this point, consider checking out our Destiny 2 Leviathan Raid guide if you get stuck! The biggest hurdle will be reaching Power 285, because at this point, your ability to increase your Power level becomes significantly easier. At Power 285, you can begin purchasing and recycling Mods at the Gunsmith. Purchasing and installing Mods is expensive, but it's the only way to reach Power 305. 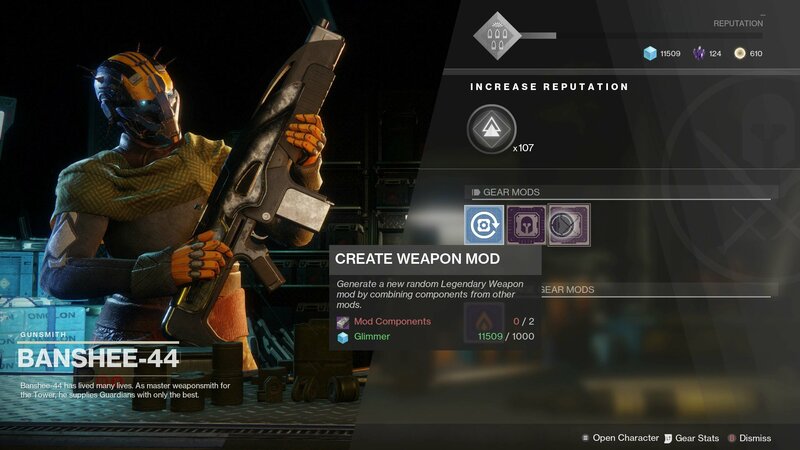 A Legendary Mod from the Gunsmith can have a +5 Power modifier, meaning that if it is installed on a piece of armor, it will increase by 5 Power. This allows you to quickly jump to Power 290. From here you can choose to farm more Public Events for Legendary or Exotic Engrams or do the final task in reaching Power 305. Take the time to learn how to farm for Glimmer in Destiny 2, as installing Mods becomes surprisingly expensive. This is the final step in leveling up fast in Destiny 2, and saving it for last is extremely important. 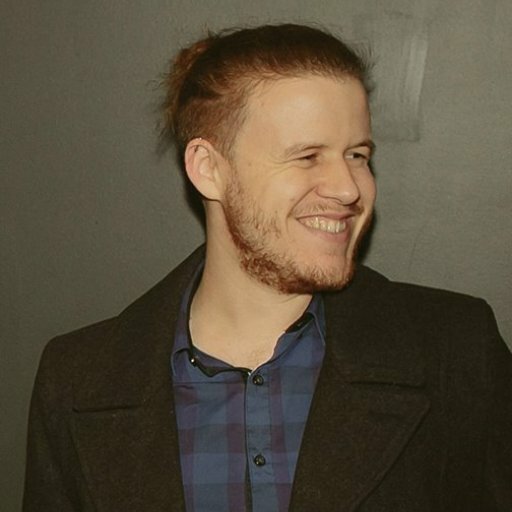 There are three Exotic weapons quests that are available to you immediately after finishing the campaign. In order to begin these quests, you will need to visit the European Dead Zone, Titan, and Nessus, and then finish their world quests. World quests are highlighted by a blue banner on the map. 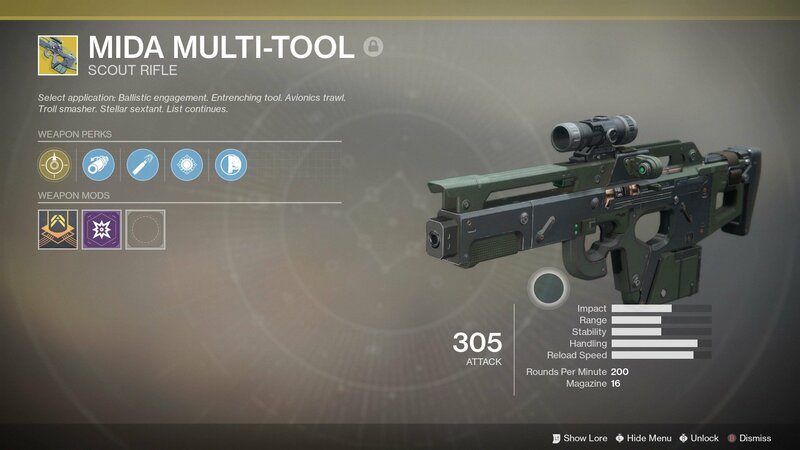 The MIDA Multi-Tool is one of the greatest weapons currently in Destiny 2. Unlocking it last is a good idea as you will want it to be as high Power as possible. After completing the World Quests on a planet, you will receive another quest that rewards a specific Exotic weapon. These quests are extremely useful for leveling up as the rewards are guaranteed to drop at an extremely high Power level. The higher your Power level when you finish these quests, the higher your Exotic weapon’s Power level will be. Make sure you save the MIDA Multi-Tool until last! If you managed to complete all these activities in the right order, your Power level should be anywhere between 280 and 290, perhaps higher. From here on out, in order to continue leveling up fast in Destiny 2, you will want to farm for Exotic Engrams, complete the raid, and do your Milestones on each weekly reset.